The Fellowship group in Frankfurt exists for about five years now. 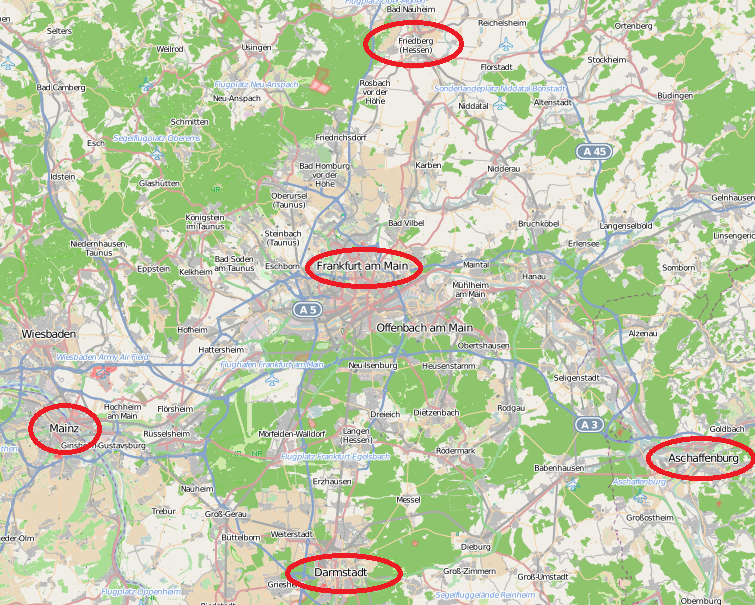 After the first few meetings, we renamed the group into Rhein/Main as nobody actually lived in Frankfurt. We kept meeting in Frankfurt as it was the most central place for all of us, though. For those interested, we kept the minutes of each meeting in the fellowship calendar and have them neatly listed on our group page using the neat PageList feature in MoinMoin. We had many interesting discussions over the years and I met with many interesting people. Sometimes, though, I was sitting there alone and on top of that left Europe for seven months in 2009/2010, some regular visitors moved away and I became father of two kids. Thus, the meetings came to a halt. Well, there was a halfhearted attempt to revive them in 2012, but they didn’t actually come back until March 2013. This was triggered by a community event organized by the LUG in Frankfurt. They invited any IT related user group in the area to meet and get to know each other at FUXCon. We participated in the organization and had a booth to present FSFE and the Fellowship there. My hope was that through this specific action, more people would become active and the plan did work! Right after the event in June, the participation dropped again. Something had to be done. To boost the motivation to take the burden of commuting to Frankfurt, we announce a topic for a talk for those meetings. So, our schedule is fixed until March 2014 where we will evaluate this experiment. We already had meetings in Mainz and in Friedberg (both posts in German).